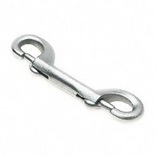 SPRING SNAP LINK Spring loaded - packed loose with tag I D Interlocking zinc plated formed steel snap Size = opening width x length Do not exceed working load limit Do not use for overhead lifting, to support- human weight, for playground or athletic- equipment or as a safety device Do not use if visibly worn or distorted T7645016 5/16 IN. 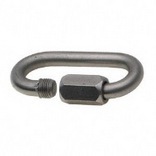 SNAP LINK SIZE:5/16 x 2-1/2" LOAD LIMIT:130 Lb. 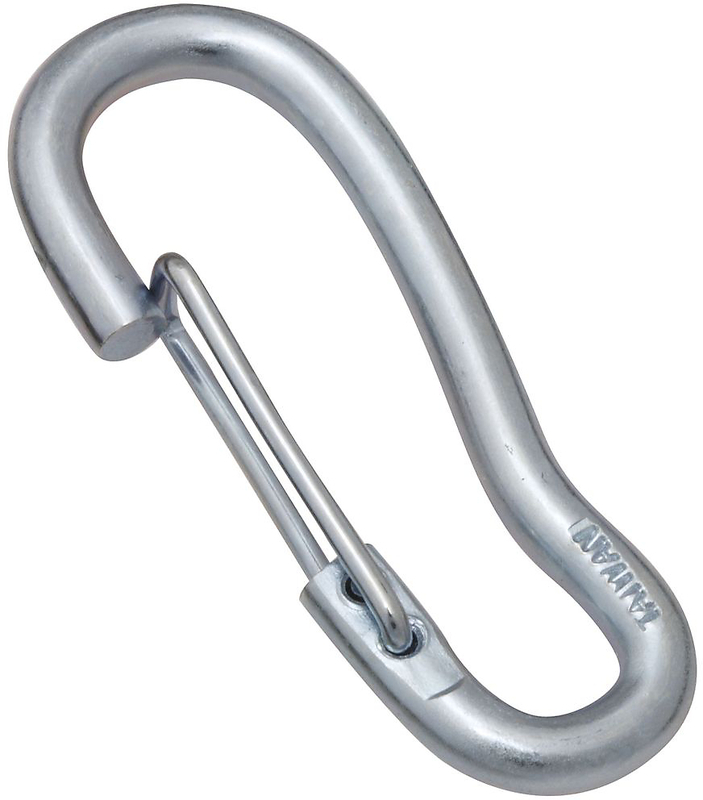 QUICK LINK Zinc plated finish Packed loose with tag I D Size = opening width x length Do not exceed working load limit Do not use for overhead lifting, to support- human weight, for playground or athletic- equipment or as a safety device Do not use if visibly worn or distorted T7645116V 3/16X2 IN. 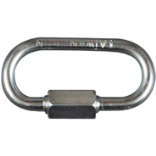 QUICK LINK SIZE:3/16 x 2" LOAD LIMIT:660 Lb. 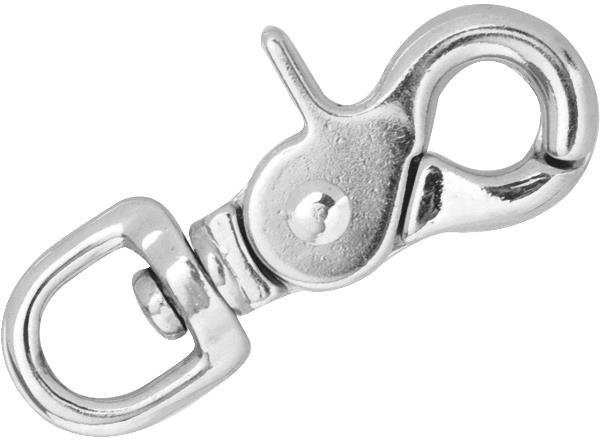 SPRING SNAP LINK Spring loaded - packed loose with tag I D Interlocking zinc plated formed steel snap Size = opening width x length Do not exceed working load limit Do not use for overhead lifting, to support- human weight, for playground or athletic- equipment or as a safety device Do not use if visibly worn or distorted T7645036 7/16 IN. 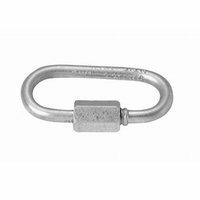 SNAP LINK SIZE:7/16 x 3-1/8" LOAD LIMIT:200 Lb. 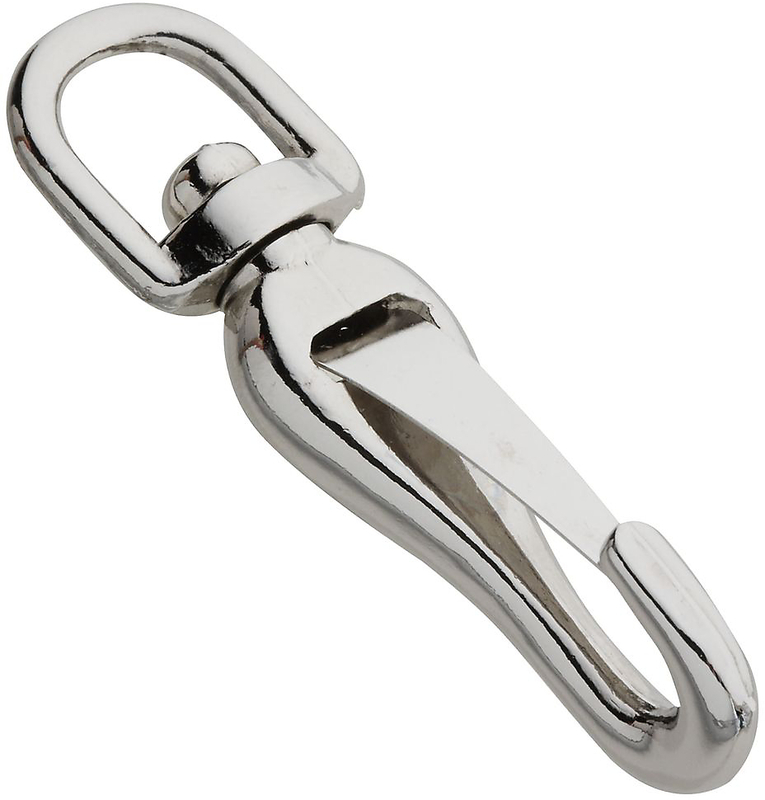 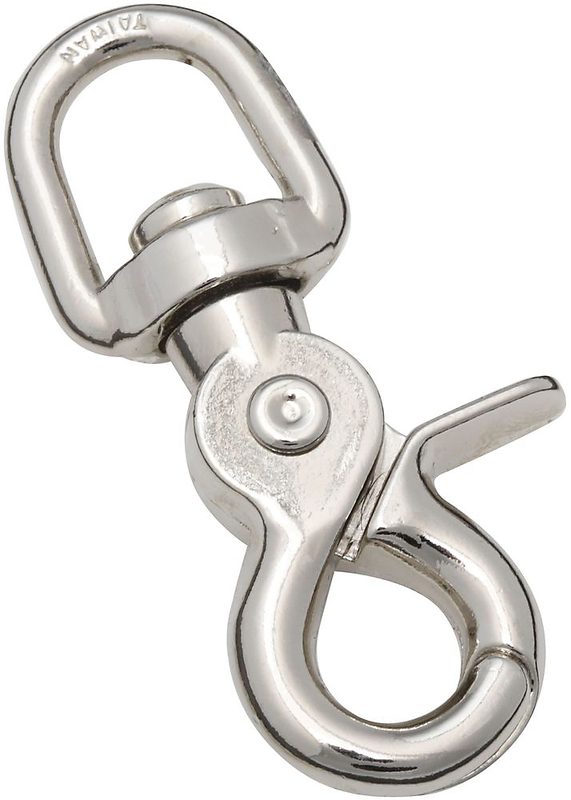 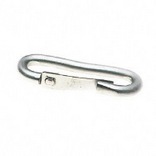 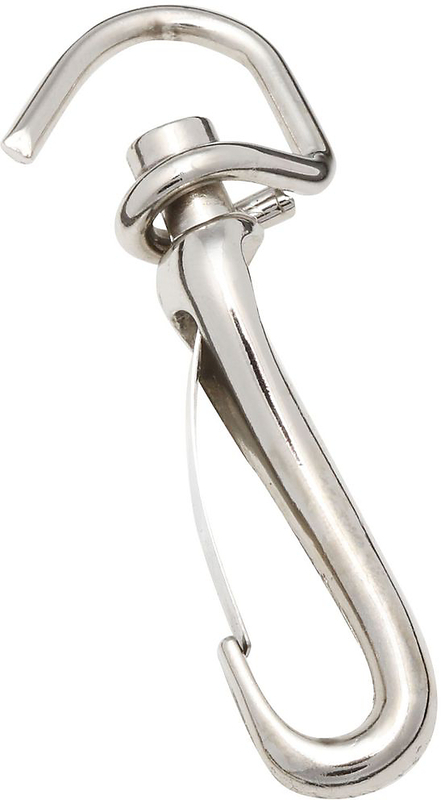 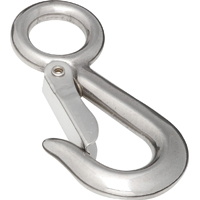 BREECHING SNAP Zinc plated malleable iron Opening: 9/32" x 2-1/2" length Do not exceed working load limit Do not use for overhead lifting, to support- human weight, for playground or athletic equipment or as a safety device Do not use if visibly worn or distorted T7602611 2-1/2 IN. 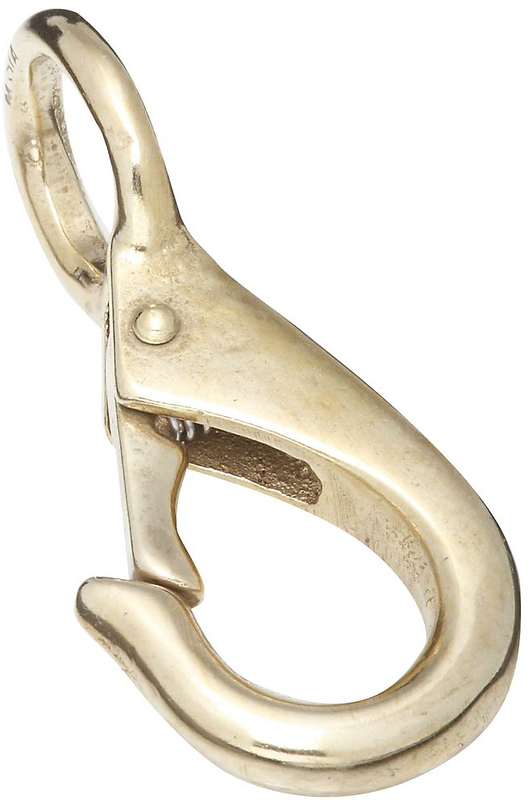 BREECHING SNAP LOAD LIMIT:80 Lb. 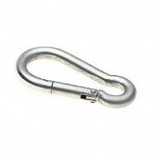 COLD SHUTS Zinc plated cold shuts Boxed loose Do not exceed working load limits 3153BC 7/16 IN. 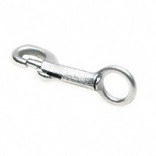 ZP COLD SHUT SIZE:7/16" LOAD LIMIT:3,500 Lb. 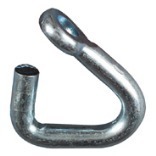 COLD SHUTS Zinc plated cold shuts Boxed loose Do not exceed working load limits 3153BC 1/2 IN. 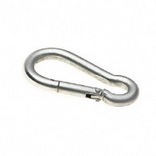 ZP COLD SHUT SIZE:1/2" LOAD LIMIT:4,500 Lb. 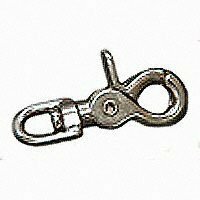 ROUND SWIVEL EYE CATTLE SNAP Die cast material nickel plated Designed for cattle/livestock tie-downs Do Not use for overhead lifting-support of- human weight-athletic or playground equipment When safety is involved-consult manufacturer Inspect frequently 3142BC 1 IN. 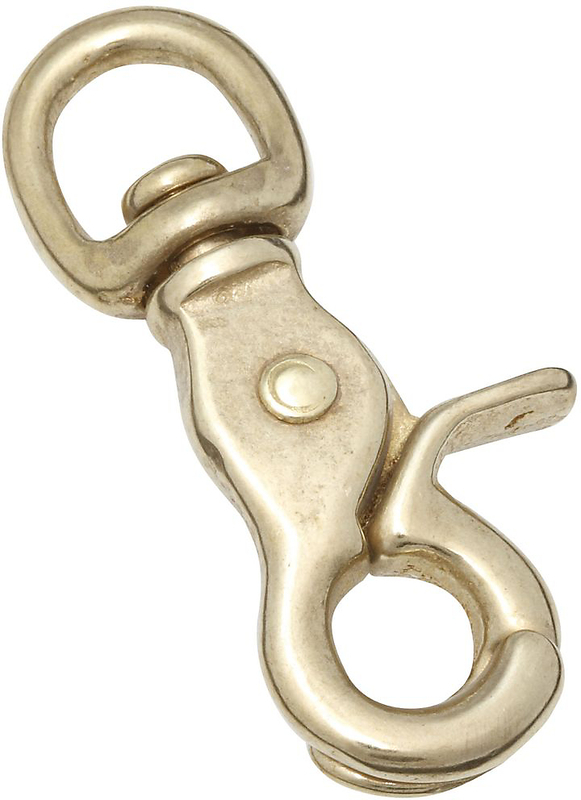 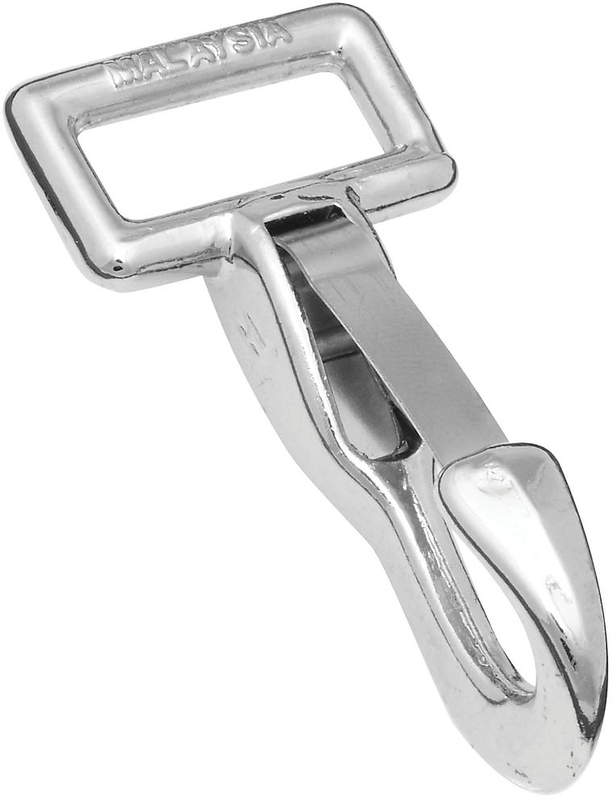 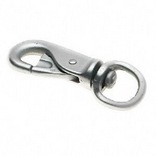 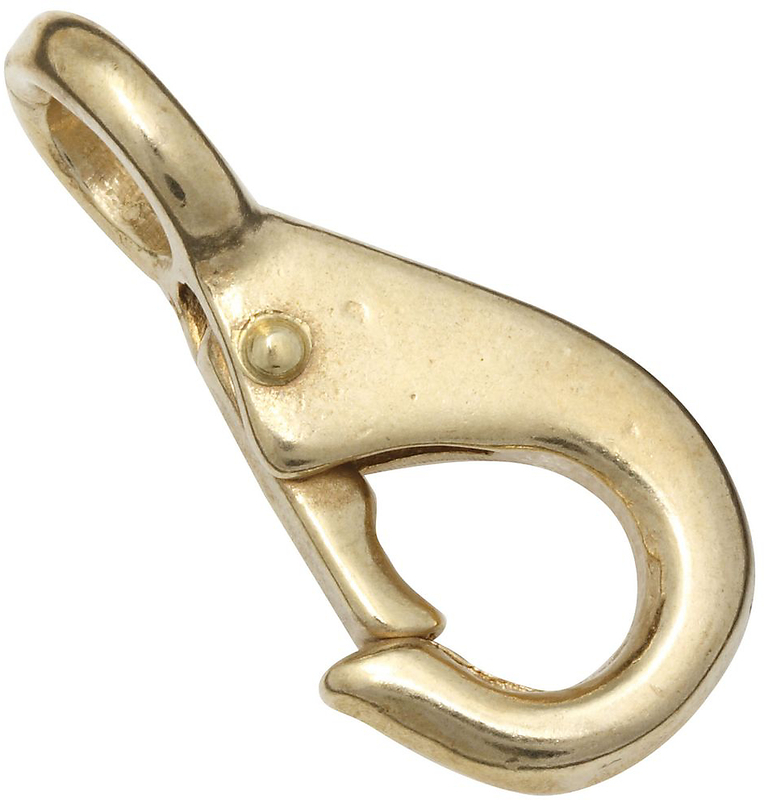 NICKEL CATTLE SNAP SIZE:1"x 4-1/8"
3071BC SWIVEL EYE SPRING SNAP Designed for use with rope, chain, strap, - animal leashes & other home & farm applications Open eye designed to be closed with vice or - hammer after attachment - 3/8" eye when closed Nickel finish zinc die-cast - steel spring gate Do not use for overhead lifting, support of- human weight, athletic or playground equipment Boxed loose - barcoded 3071BC 1/2 IN. 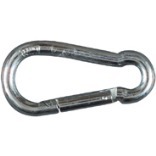 X2 3/4 IN. 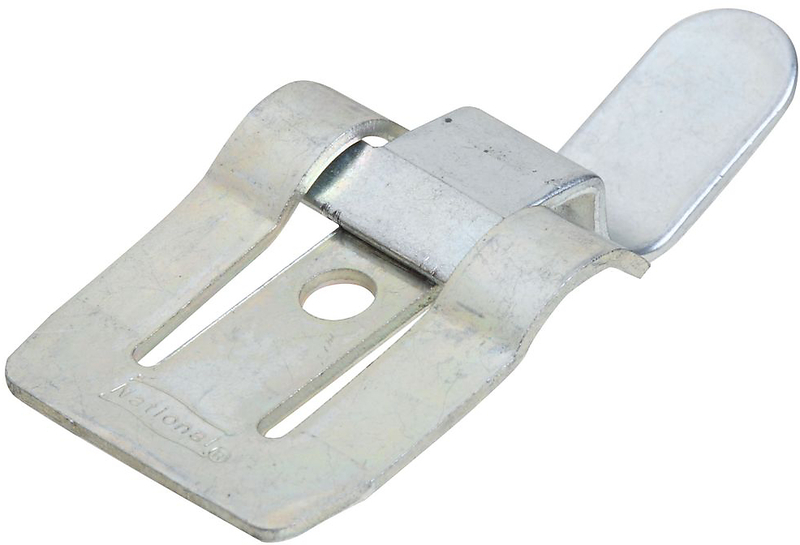 SPRING SNAP SIZE:1/2x2-3/4"